Kim Kardashian, Paris Hilton and… Teddy Roosevelt? | ASTRALCOM - Content Strategy, Conversion Marketing and Customer Acquisition. No matter how you feel about Paris Hilton and Kim Kardashian, we have them to thank for today’s “look at me!” economy. Reality TV helped spawn an entirely new faction of society. One that presents us today with people like Ms. Hilton and Ms. Kardashian and a whole new slew of social media personalities whose every detail is revealed on an ongoing basis. Indeed, it is the age of constant self-promotion and social media is the perfect megaphone for doing just that. Today, in a manner of speaking, we’ve really pimped Aristotle’s wisdom in how we communicate. Aristotle was a master of rhetoric in his day. He said, “Tell them what you are going to tell them, tell them, then tell them what you told them.” Isn’t this what top social media stars do? 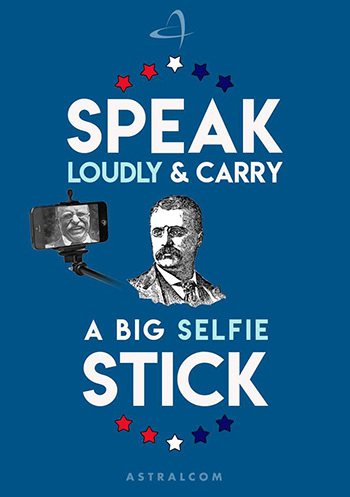 It’s a complete 180-degree difference from the days of President Theodore Roosevelt’s Big Stick ideology; namely to “Speak softly and carry a big stick.” In other words, to not boast and let one’s actions speak for themselves. Rather, today, if you’re not at least regularly “humblebragging” about something you’re doing (or have done), you’re missing an opportunity to self-promote. It makes complete sense, especially when you think about the amount of content published to the web- every single minute. How else can we as individuals (or even as companies) expect to grab someone’s attention in the ever-expanding sea of content? 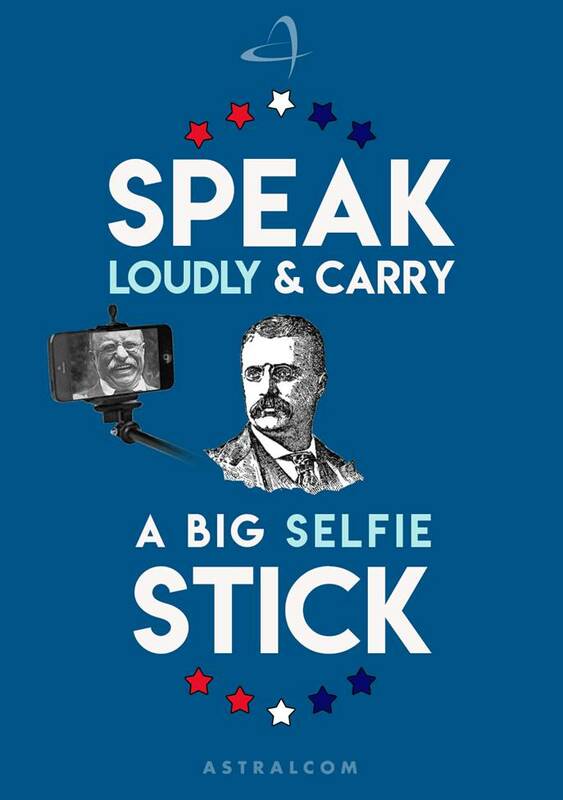 Speak loudly and carry a big selfie-stick! That’s how. If you’re too shy, we can hold your hand and together, we can help you connect with your audience, whomever and where ever they are.